It seems de rigueur these days that anyone with an outdoor blog has a category devoted to haikyo 廃虚 or in the English vernacular urban exploration. This genre of writing and photography has experienced a resurgence in the past few years, gaining its own loyal band aficionados willing to delve into little explored ghost towns, schools, hotels, hospitals, defunct amusement parks and vacated family homes of Japan’s bygone times. For this first entry I have decided to head out to Lake Okutama where nested above the shoreline an abandoned ropeway sits. Another example is on the Saitama side of the Chichibu Tama Kai National Park where only in the last few years the Mitsumine ropeway suffered its own inglorious finale with upkeep and maintenance finally taking a toll. Whilst I could fathom some tourist benefit of the ropeway at Owa 大輪 the Okutama ropeway on the other hand is totally perplexing as it sat ostensibly in the middle of nowhere with its sole purpose of linking up two sides of the artificial lake. Whilst haikyo etiquette dictates I don’t divulge the exact location all I can say is it’s a fair whack from Okutama Station. The austere facade of Kawano Station comes into view just as you reach the decaying tennis court which rests beside it. Once inside the terminal building you are transported back to the 1960s with much of the décor and amenities or what remains of them preserved like a time capsule. The cars themselves remain in reasonably good nick despite the fact they have been literally hanging around for the past 50 years. The ropeway was completed in October 1961 under the auspices of the now defunct Ogouchi Tourism Development Company; was just over 600 metres in length and had a high difference, of wait for it – 0.65 metres which must have been a record in its own right. The two stations it ran between were Kawano 川野駅 on the north bank and Mitosanguchi 三頭山口駅 on the opposing side with a one way ticket setting you back 110 yen, through by 1965 the price had dropped to a paltry 80 yen, a sure sign of desperation. So in other words, the ropeway appeared to serve more of a utilitarian function ferrying hikers across the lake than it ever fulfilled as a tourist drawcard. With Japan at the time experiencing substantial economic growth and with the Tokyo Olympics around the corner it must have seemed a sure bet to those spruiking the ropeway. But in the four ensuing years patronage plummeted as alternative access across the lake was sought using newly constructed bridges, thereby effectively negating the ropeway altogether. Finally in December 1966 the ropeway administrators decided to temporarily shut down operations and take a short sabbatical through the winter months. Needless to say its cable cars never did roll again and with it, a legacy that sadly continues to rust and wither away. This lamentable situation is commonplace throughout Japan and often local governments have their hands tied particularly on the issue of dismantling such structures due to both cost implications and as consent from the owner is usually required. The end result is that the Okutama ropeway will no doubt continue to remain a stark reminder of overzealous development gone mad. Hi David, recently went to Japan on a ‘Haikyo’ trip. Very excited to have found Okutama Ropeway. Love to share some stories with you. Have you been to Mitsumine Ropeway in Nagano? 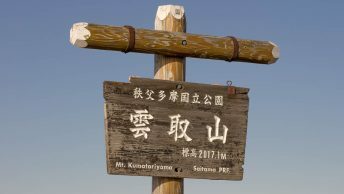 Hey Chris, sounds like you had an enjoyable stay and had time to drop by a few of cool Haikyo spots including the Okutama Ropeway. Personally I have never been to Shidaka Ropeway down in Beppu but like the Okutama Ropeway it looks like it was only in operation for a short period. The Mitsumine Ropeway was actually in Saitama Prefecture and operated from 1939-2007 though it has since been demolished. When you have a chance would love to hear about some of your stories. Finally found the Mitosanguchi station a few weeks ago. I’ve tried twice to access the Kawano side but there’s a lady in a restaurant at street level that keeps stopping me from walking up there. Darn, wish she were busier so she’d not see me walking.